JCB scale model collector fans will be pleased to know that 25 years after the launch of the Fastrac that Wiking is making a miniaturised 1:32-scale version of the present-day 8000 Series flagship. Shown as a prototype at the Nuremberg Toy Fair (Spielwarenmesse) recently, the finished version, which we believe will be a miniature version of the 8330 (348hp max), is the first JCB model from the German model manufacturer. 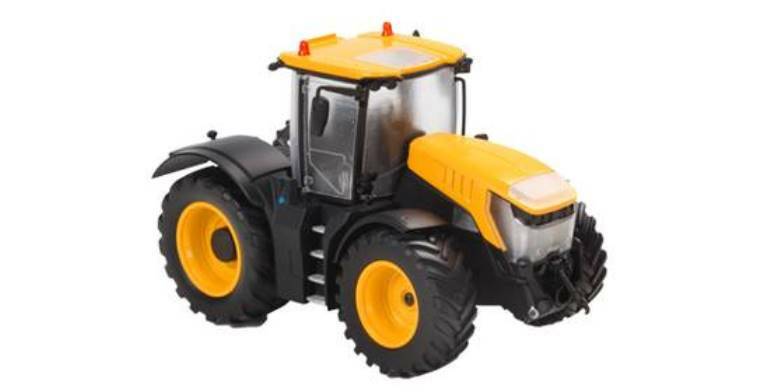 Expected to be on sale from Agritechnica, the first edition of the metal/plastic model, which is expected to retail for around €80, will be painted in standard JCB colours. A special edition version to commemorate the 25th anniversary of the Fastrac could follow at some point. Many of the big names in the collectible scale model world are keeping some of their news for later this year, but visitors that trawled the Nuremberg halls would not have been disappointed. Full reports of all the other new tractor and farm machinery models from the German show in the March and April issues.